Coins have been collected for centuries not only because of their value but for the historical significance. Coin collectors often do this as part of their hobby much like some people collect stamps or other paraphernalia. Coins of interest for collectors are those that have had limited circulation due to errors in the minting. 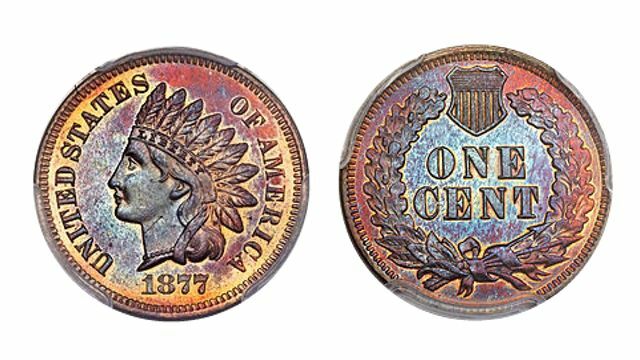 Some of the coins that have generally gained a lot of interest are the exceptionally beautiful coins like the 1877 Indian Head Cent. The 1877 Indian Head Cent met much difficulty in minting which has resulted in many changes. As a result of the difficulties, many patterns were use in the later years but many of the coins were saved by people when the coins circulated. The design featured an Indian wearing a headdress with the inscription of United States of America on the peripheral. On the reverse side of the coin, it showed a laurel wreath with the one cent in the middle Later on, the laurel wreath was replaced by the oak wreath with a shield on top. The 1877 Indian Head Cent was later deemed to be scarce but the coins still remain among the hands of many collectors. What induces coin collectors to appreciate a collection of coins when it is no longer considered as legal tender? Some consider coin collecting a hobby or some sort of art but coin collecting is generally considered to be a hobby of the wealthy because rare coins are quite difficult to acquire and often very expensive. Some collect coins as a form of investment with the expectation of some future profits. The investors buy the coins of rare value and significance with the expectation that their worth will increase in the future. This is most common when the coins have a higher metal value as differentiated from their spending value. Some amass the coins not actually for profit but for appreciation and the coin collection is often passed on into the hands of the children or relatives. A coin collection does realize its value until it is sold but several collectors have kept close guard over these possessions not to earn a profit but for the sake of posterity. Collections in the ancient time have moved on from hand to hand onto the next generation. These coins are often the subject of archeological expeditions and excavations that showed a part of history in the ancient times. The series of Indian Head Cents can be an enjoyable and educational collection to pursue. Find additional information on the mintages and highlights of the series including the rare 1877 Indian Head Cent.